Dies ist eine kleine Boulder Version mit 50 Maps. Du muß Edelsteine einsammeln/Käfer sprengen/Steine schieben und noch viel mehr. Leichte Steuerung mit den Pfeiltasten, Leertaste für das setzen einer Dynamitestange. Wenn Du der beste bist, dann steht Dein Name in der HighScoreTable. Weiteres kannst Du nachlesen in der BoulderDemo.txt My english friends; open Boulderdemo.txt and read. A Deflector clone where you have to water flowers. Use mouse to rotate mirrors. When rotating, the "laser" is in safe-mode. A try to make the Nintendo(c)(tm)(R) Mii(tm)(c) filles and create 3D and 2D models/animations from that. 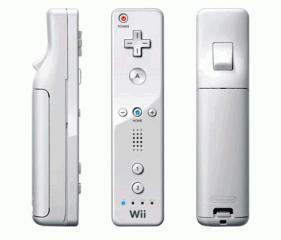 WiiMote support for GLBasic games. Currently limited to Win32, though. Full support, full compatibility, any number of players. Uses WiiUse library, thus GPL or LGPL for non-commercial programs. 3D Remake of the classic C64/MSX game. Includes a level editor and 14 levels. This game was written for the 2006 RetroRemakes competition and almost earned the wooden spoon. This is a simple (non optimized) fragment shader that allows you to make a 320x240 screen part look as if it were programmed on a C64 - in REALTIME! Penguin game with Newton Physics. Drop new blocks with left mouse button, right button for camera, wheel to rotate the new block. Build a home for the penguin, but don't smash it.